Who is The Beer Beauty? 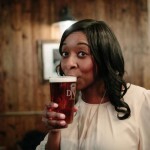 Beer Beauty is a fun blog about the wonders of beer written by Beer Sommelier, Award-winning Beer Writer, Journalist & TV Presenter, Marverine Cole. Marverine doesn’t just love beer…. she’s crrrrrrrrrraaaaaaaaazy about beer, and this is her way of spreading her message about the beauty in Britain’s natural drink to anyone’s who’s curious about beer and new to drinking it. Here, you’ll anything and everything from beer recommendations, interviews with characters from the beer & pub industry, pub reviews, the insider’s view on beer events and festivals, and full details on the fabulous beer tastings events that Marverine often hosts. Above all, it’s about having fun, enjoying beer AND drinking responsibly! As a Beer Sommelier (accredited by the Beer Academy), Marverine is available for bookings – everything from hosting beer tasting events to suggesting beers to match your restaurant/cafe menu. 11 Responses to Who is The Beer Beauty? I just tried this great new beer, turns out its made in our very own London Town , it’s delicious and goes by the name of rocky head- anyone else tried it? Hi Beer Beauty. Your site looks really great. I’m also a girl who loves drinking beer. I wonder if you accept guest posts? I’d like to contribute articles into your website as well! Thanks and I hope to hear from you soon! Nice work on the site Beer Beauty – love the articles! Please send us an address and I will get it sent tomorrow. Love the site! I would really like to let you know about a Beer Festival in The Cotswolds in October…as well as info about a new beer being brewed by a lovely local pub. Please let me know your email address when you have a moment. Came across your website and now following on twitter. Great articles and superb to see interest in such a wonderful drink. If you are ever in the Doncaster area please check us out for cask marque accredited and CAMRA approved cask ales. We also stock over 35 Continental, Craft and Belgium Bottled Beers including draught products. Along with our gastro pub fayre you would love it and we would be deligheted to welcome you and show you around. We also hold regular beer festivals to which the next one is on the 19th & 20th December. Yuletide festival. 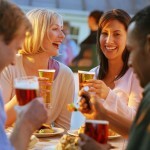 Can you send me further details on your beer tasting events. Lovely to have come across you and your website. I’ve just written an article called 7 Exotic Drinks You’ve Been Missing Out On and was wondering whether this could be suitable for your website? It gives a rundown on alcohols we rarely come across in average bars; from sweet, thick Amazake in Japan, to Vana Tallinn in Estonia and Brennivin in Iceland. It gives a summary of these drinks, revealing the taste (or lack of it! ), the best way to drink it and where it can be found in our home countries. It also includes CR-infringement free pictures. Do you think this content would be suitable for your readers? If you would like to take a look at it please get back to me and I will happily send it over.